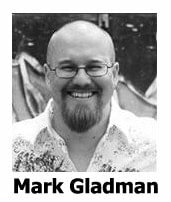 Australian comedian Mark Gladman has been using the Killer Stand-up Comedy System now for years. He has become the “comedy thunder from down under” in a short period of time. I have included a video clip of Mark at the end of this article. It was about mid-2005 when I first began this comedy journey. I have just this last week gone 100% full time as a performing comedian and humorous speaker and writer. Was a State finalist in the Triple J (Australian National Radio Station) Raw Comedy Search 2006. Released my first CD mid-2006. Made my first TV appearances mid-2006. Was a regular on the Qld comedy circuit by end 2006. Relocated to Toowoomba, a small town West of Brisbane at the beginning of 2007 where in the last 2 years I have established a small open mic scene, run a few of my comedy workshops, and have developed a small stable of comedy performers from those. Have established myself as a safe choice for corporate events, and have packaged comedy into all of my (previously serious) corporate presentations developing into, as one person introduced me, “a motivational comedian”. Schools all over the country now pay to have me speak on motivational themes in their schools and run workshops n comedy too. Am now one of Australia’s busiest Christian and Clean comedians (and possibly Australia’s only full time comedian working in the Christian arena). 1. I stayed true to myself. I never went chasing a trend or trying to tackle an area that I did not feel comfortable in. I resisted the need to play with topics or language that was not me or I did not feel comfortable using. 2. I maintained integrity and honesty. I always treated clients, club managers, event managers and other comedians with respect; and always honored my word. 3. I learned from my mistakes. 4. I listened before I did anything. Mentors are mentors because they have been there. Listen to them. 5. I maintained a work ethic. While Steve’s writing system makes material come easily, you still need to hone your craft, and you still need to put time and discipline into writing. 6. I treated the entertainment business as a business. 7. I freely gave. I gave time to charity events, I gave tips and coaching to people who i thought could use it for free, and when I could see an honest need, I did my best to make my services affordable. 8. I didn’t let other people get me down. If I was criticized, I took what was true in it but ignored what was spiteful and personal. 9. I looked for opportunity. I have tried my best to keep on the go as far as seeking opportunities and maintaining a momentum – if not for my work then just for me keeping active and working. 10. Finally, I thanked people. Whenever someone had me perform, interviewed me, sent me an e-mail, made an inquiry, asked me to their school or church, i have always sent an thank you, and I have always tried to stay in touch. Call these Mark’s 10 Commandments or whatever, but I swear by these 10 values. Someone once told me (after I did not win my second comedy competition) that the people who won these things are rarely the people who make it. It’s those that have the grit and gumption that do. Those words must have done something for me because as I filled out my application for my third comedy competition in late 2006, I found that I had disqualified myself because I had earned too much money from performing comedy to enter! You can be as funny as you like, but I swear that you don’t maintain these 10 values, you will never make it. Either you will never be booked, or you will get tired of it and drop out. Thanks Mark for sharing your success story!